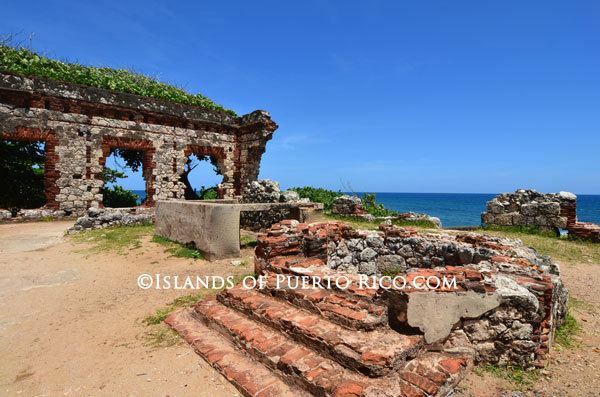 Aguadilla ([aɣwaˈðiʝa], Watered Smalls), founded in 1775 by Luis de Córdova, is a city and municipality located in the northwestern tip of Puerto Rico (U.S.) bordered by the Atlantic Ocean to the north and west, north of Aguada, and Moca and west of Isabela. 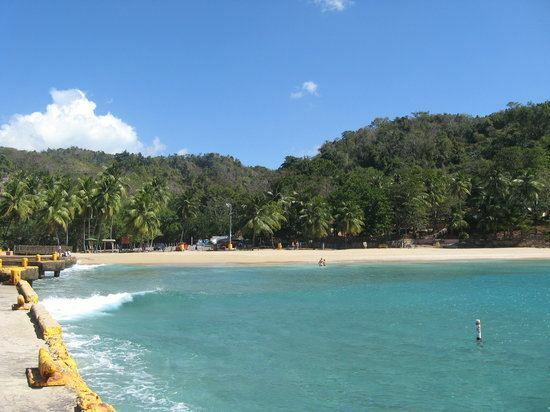 Aguadilla is spread over 15 wards and Aguadilla Pueblo, the administrative center of the city. It is a principal city of the Aguadilla-Isabela-San Sebastián Metropolitan Statistical Area. Aguadilla was the site of the U.S. military's Ramey Air Force Base for almost five decades. During this period, Aguadilla was home to the Strategic Air Command 72d Bombardment Wing, Heavy equipped with B-52s, a very strategic facility during the Cold War. 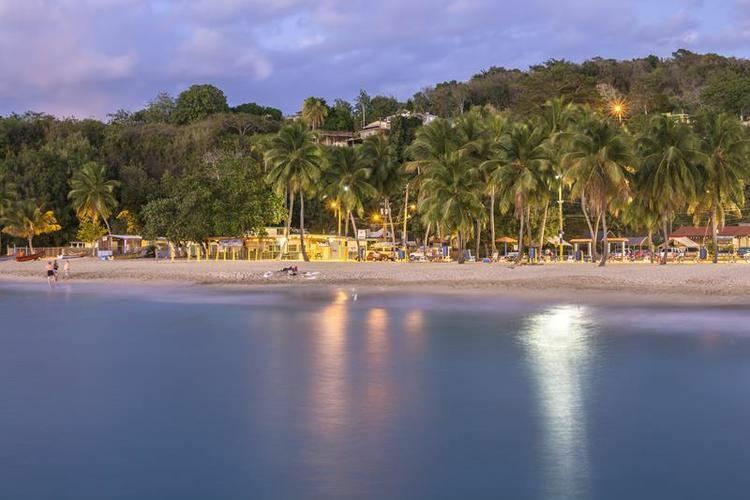 During the early years of the base and throughout World War II, Puerto Ricans in the area became more Americanized than in remote locations, and the after effects are still apparent in Aguadilla, and other towns like Aguada, Moca and Isabela. The military and Puerto Ricans from the surrounding communities generally had good formal relations, but the undercurrent of resentment in many aspects of the relationship was always just below the surface. Many Americans stationed in the area did not even realize that the people all around them were even American citizens. Though the infrastructure still exists, it was handed over to the Commonwealth of Puerto Rico in 1973. The aerial facilities are now civilian controlled by the Puerto Rico Ports Authority. The facilities now make up the Rafael Hernandez International Airport. The barracks now host the Faro Inn Suites, a 79-room hotel. The Officer's Club now hosts the Faro Conference Center, a 22,000-square-foot (2,000 m2) meeting facility. The hospital is now the Courtyard by Marriott Punta Borinquen Resort & Casino, a 150-room hotel with a casino and the first Marriott in Puerto Rico out of the San Juan Metropolitan Area. Ramey also hosts the University of Puerto Rico – Aguadilla Campus and the Friedrich Froebel Bilingual School (K-9). The High School became Ramey Job Corps Campus and the elementary school became the Esther Feliciano Mendoza Middle School. Centro de Adiestramiento y Bellas Artes (CABA) since 1979 has been the only public school of arts in Puerto Rico (7–12). Ramey is also the site of the new Ramey Skating Park and a new "mariposario" (butterfly farm). Prosperity and happiness came to an end, when the news that the Federal Government needed the land to build an air base that came to be known as Ramey Air Force Base. In September 1939, some 3,796 acres (15.4 km2) covered by sugar cane, was expropriated for the military at the cost of $1,215,000. Today, the population of San Antonio consists of approximately 10 thousand people. It has a modern square, a Puerto Rico State Police Station, a coliseum, an industrial park, public housing, a baseball park, a public school system, shops, and many other, charasteristics of a small town. Also, as a characteristic of a town, has a flag and an emblem. The creation of the flag and emblem was done by Roberto Román Acevedo. The city is currently home to a variety of industrial and pharmaceutical plants like LifeScan, Symmetricom, Honeywell, and Hewlett Packard Enterprise. Most of them are located at San Antonio Technological Park, the airport as Lufthansa Technik, while others like Suiza Dairy, Lockheed Martin and Productos La Aguadillana are located in Camaseyes Industrial Park. 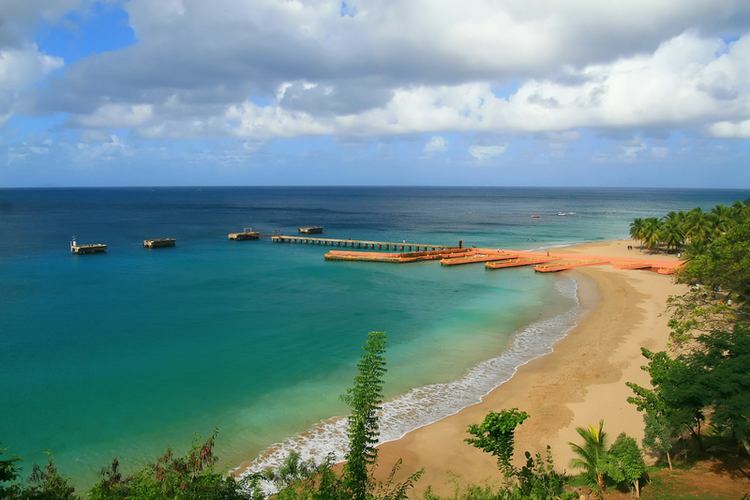 Other industries that are based in Aguadilla are rubber, plastics, leather, textiles, steel, wood, machinery, and food processing. [WI3XSO] Wapa Radio frequency 1260AM is locates in Aguadilla. According to the 2010 Census, population in Aguadilla is at 60,949. This represents a decrease of more than 3,000 from the 2000 Census. 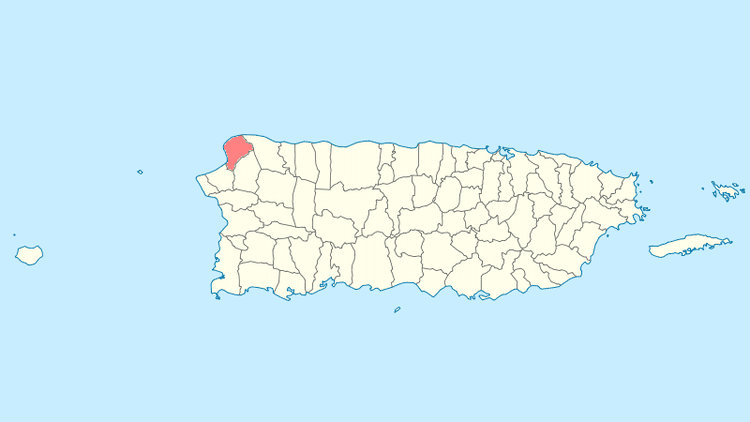 The city belongs to the Puerto Rico Senatorial district IV, which is represented by two Senators. In 2016, Evelyn Vazquez and Luis Daniel Muniz were elected as District Senators. Interstate PR-2 (Rafael Henández Highway). Plans are underway for a new expressway, an expansion to existing Puerto Rico Highway 22 (José de Diego Expressway) from Hatillo and it will probably end at Puerto Rico Highway 111.